Calgary, Alta. 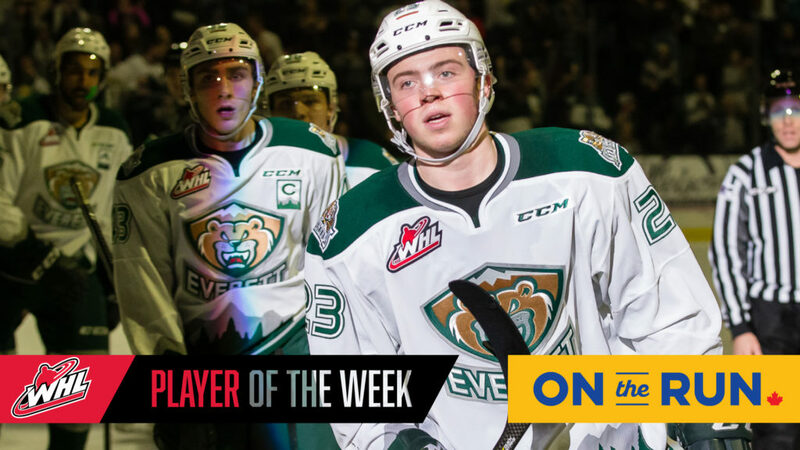 – The Western Hockey League announced today that Everett Silvertips defenceman Jake Christiansen has been named the WHL On the Run Player of the Week for the week ending March 24, 2019. 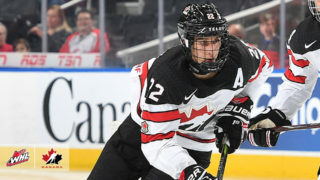 Christiansen recorded five points (1G-4A) and a plus-three rating in two games this week as the Silvertips went 2-0-0-0 against the Tri-City Americans to open the first round of the 2019 WHL Playoffs. Friday in a 6-1 win over the Americans, Christiansen recorded three assists, helping on Everett’s third, fifth and six goals. 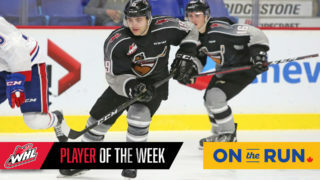 His success continued the next night when he scored one goal and one assist in the second home game of the series against Tri-City. Christiansen’s assist came on Everett’s first goal of the game on a power play. 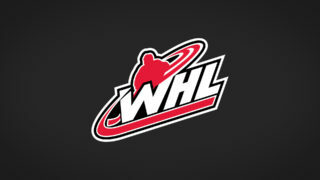 Later in the second period, Christiansen scored his first goal of the 2019 WHL Playoffs, at even strength. For his efforts, Christiansen was awarded the first star of the game. 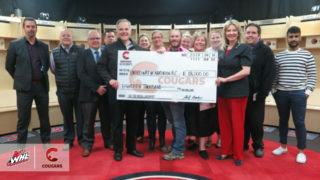 Prior to the playoffs, the West Vancouver, B.C. 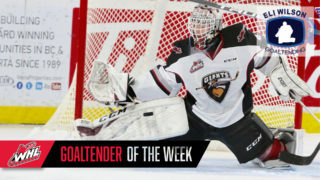 product nabbed 44 points (12G-32A) in 67 games, placing him 17th overall among WHL defencemen. Over 43 career playoff games since 2016, Christiansen has recorded 14 points (3G-11A). The 6-foot, 190-pound rearguard was selected in the fifth round, 105th overall, in the 2014 WHL Bantam Draft. In 259 career WHL regular season games, Christiansen has tallied 102 points (28G-74A), including 11 power-play goals and four game-winning goals. Christiansen and the Silvertips head to Tri-City to face the Americans in Game 3 of the first round of the 2019 WHL Playoffs on Wednesday, March 27 (8:05 p.m. PT) at the Toyota Center.